Size 11.69 x 16.53 inches. 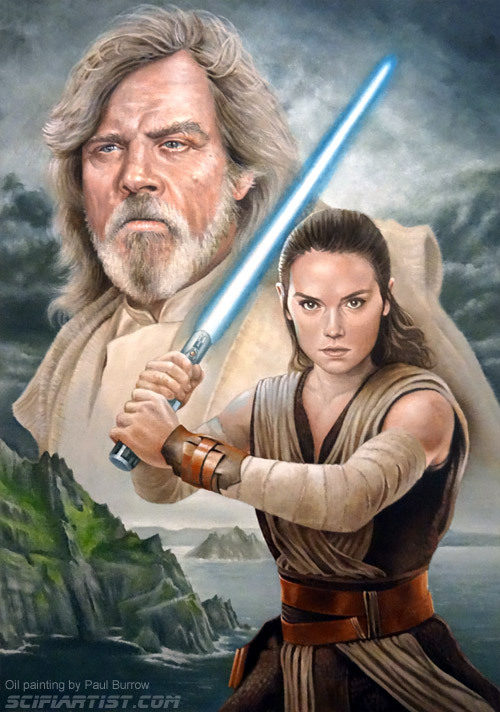 This Luke Skywalker & Rey painting is another to add to the portfolio. It even got a like from the man himself Mark Hamill on twitter :). Star Wars and all related characters are © Walt Disney & Lucasfilm.